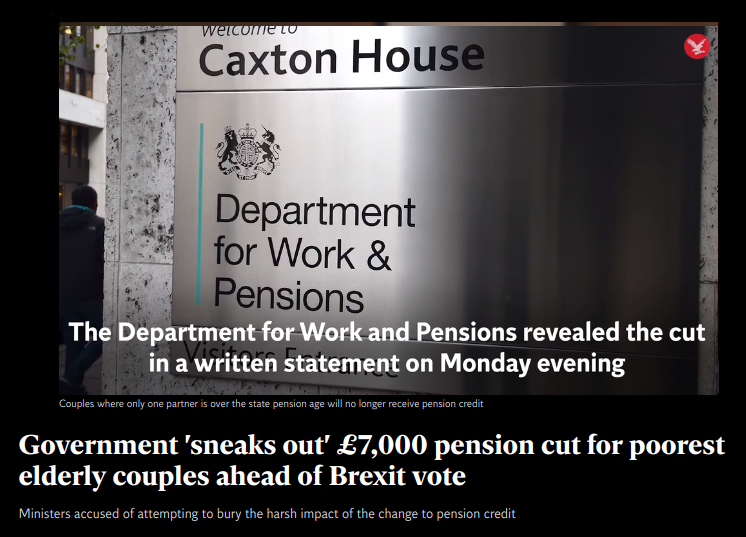 Poorer pensioner couples will lose more than £7,000 a year, under a cut “sneaked out” while MPs were preparing for the showdown Brexit vote. Ministers attempted to bury the impact of the change to pension credit, which tops up the incomes of hard-up elderly people. It means couples where only one partner is over the state pension age, which is now 65 or up to 68 for both men and women depending on when they were born, will no longer receive the extra benefit. 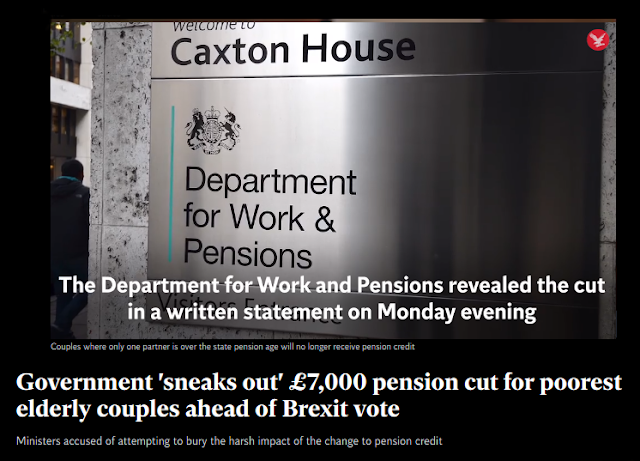 The Department for Work and Pensions (DWP) quietly revealed the cut in a written Commons statement at 7.20pm on Monday evening – as MPs held talks ahead of the meaningful vote on Theresa May‘s Brexit deal. We see it, Amber Rudd, we see it.